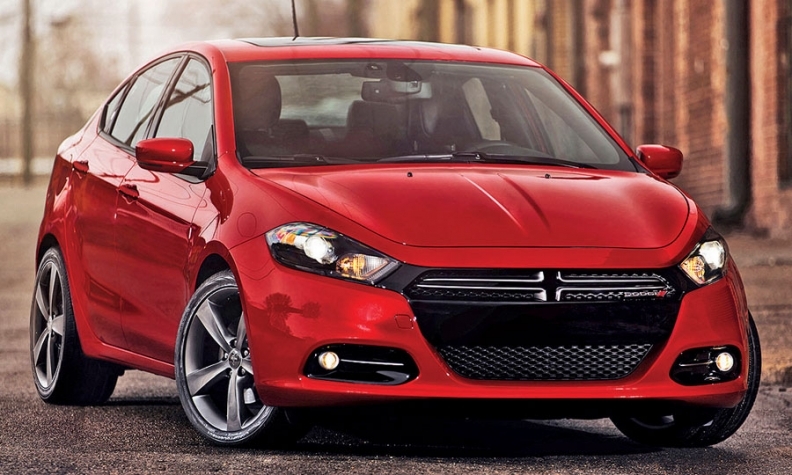 The new Dodge Dart is based on a widened version of the platform used for the Alfa Romeo Giulietta. DETROIT – Fiat is considering exporting to Europe two China-built compact cars based on the new Dodge Dart, people with direct knowledge of the matter told Automotive News Europe. The Italian automaker plans to begin building a Fiat-badged four-door sedan based on the new Dart, which was unveiled at the Detroit auto show on Monday, with partner Guangzhou Automobile Co. at a new plant in China's Hunan province in July. Exports of a Dart-based sedan to eastern and northern Europe may begin in 2013. Sales of a China-built Dart-based hatchback variant could also begin by next year in southern Europe, a source said. The China-made Dart will get Fiat-inspired front and rear ends and undergo tweaks to the interior to make sure it stays faithful to the Italian brand, Fiat-Chrysler CEO Sergio Marchionne said in a November interview. A Fiat spokesman declined to comment on future models, confirming only that the company's five-year plan includes the introduction of a new Fiat-branded compact hatchback and a compact sedan. The China-sourced hatchback could potentially replace the slow-selling Bravo in Fiat's European range. Bravo sales declined 27 percent to 27,244 units from January to October last year, according to data from market research JATO Dynamics. Fiat plans to stop making the Bravo in 2013. The model is built in Cassino, central Italy, where Fiat plans to begin building a compact crossover to rival the hot-selling Nissan Qashqai in late 2013 or early 2014. The China-built Dart is not considered to be a replacement for the Turkey-built Linea model, which is smaller than the Dart. At 4560mm long and 1760mm wide, the Linea is a subcompact. The Dart-based Fiat sedan will be about 4650mm long and 1830mm wide, which makes it about the same size as the Ford Focus four-door compact. While rivals such as Volkswagen AG and General Motors Co. have established profitable and highly productive operations in China, Fiat has been slow to capitalize on the world's largest car market. After unsuccessful joint ventures with Nanjing Auto and Chery Automobile, the automaker now aims to correct the situation and put its stamp on the market, which is crucial to Fiat's ambitious growth plan. Fiat intends its joint venture with Guangzhou to build about 300,000 Fiat sedans and Jeep models a year by 2014, up from the few thousands that the company currently imports, according to the Fiat-Chrysler five-year plan that Marchionne revealed in April 2010.